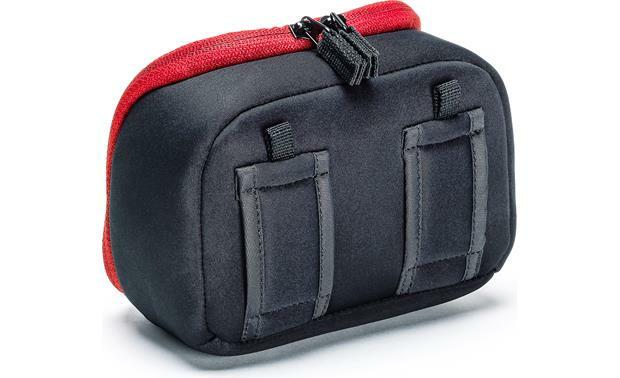 This zippered neoprene carrying case lets you bring your Olympus Stylus Tough series camera along on any adventure. Four internal compartments help you organize camera and accessories so they're easy to grab when you stumble across a doe and fawns on a nature hike. There's a zippered mesh compartment inside the top flap that's perfect for memory cards and short cables, too. 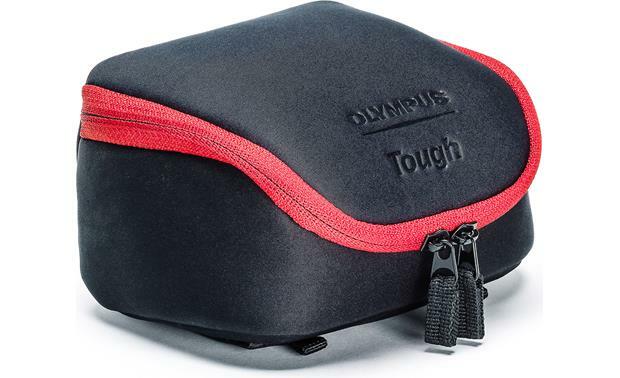 Overview: The Tough Camera System bag is designed for the Olympus Stylus Tough series cameras and accessories. It has a soft, black neoprene exterior that resists dirt and moisture, and a zippered closure. Inside, there are four separate compartments with a removable partition to keep your accessories separated. 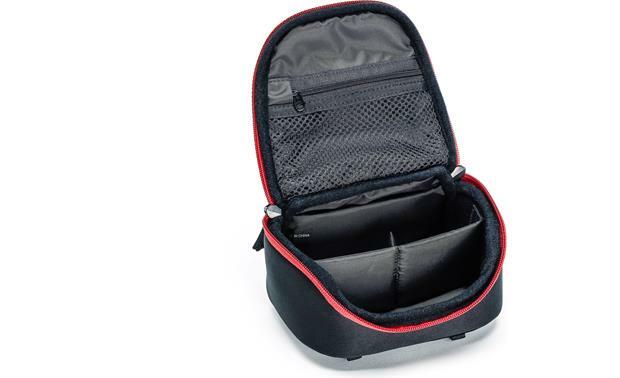 Under the top cover is a zippered mesh compartment for storing small items like spare batteries and memory cards. The bottom features two belt loops so you can wear the bag on your hip or attach it to a backpack. The Olympus Tough logo is embossed on the lid. External Dimensions: Width 6.25", Height 4", Depth 4.5"
Internal Dimensions: Width 5.75", Height 3", Depth 3.5"
Product description does not explicitly say that both the Olympus Tough Telephoto and fisheye lenes can fit in the bag with the T-4 camera, all at the same time? The telephoto lens is 1.8" x 1.7 " , it is not clear if the two pouches that look to hold the lenes are that large. One would think that Olympus would state that explicitly in the product info. They are also mute on this issue on their web page ! 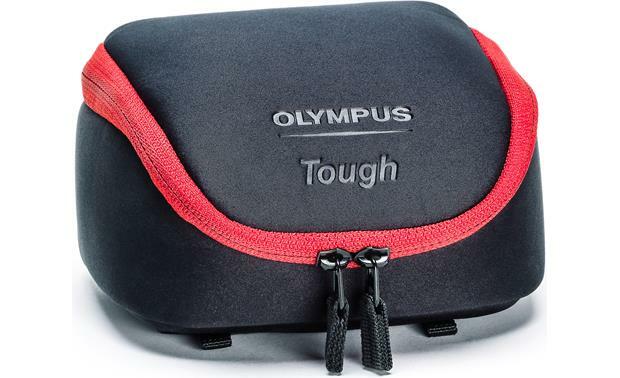 I'm afraid we don't have enough information available for the Olympus Stylus Tough System Bag to confirm if it will fit the camera and telephoto + fisheye lens converters. I wish I had something more definitive to tell you but keep in mind we offer a 60-day money back guarantee with every purchase here in case something doesn't fit and/or work as you had hoped. If you would like to discuss further feel free to contact an Advisor directly by phone (1-800-324-9695) or online chat.